When someone mentions groundhog, they usually think of Punxsutawney Phil, the cuddly groundhog that gives us a sign of Spring. Anyway, if this cuddly, 12-pound rodent is digging up your lawn, destroying your garden, under your house, shed or patio, you are not thinking “cuddly”; you’re thinking “how do I get rid of this thing?” Yes, I say this in the kindest of terms and with a great deal of sarcasm as well. I give you some facts about this rodent and than give you some tips on getting rid of this overgrown ground squirrel. 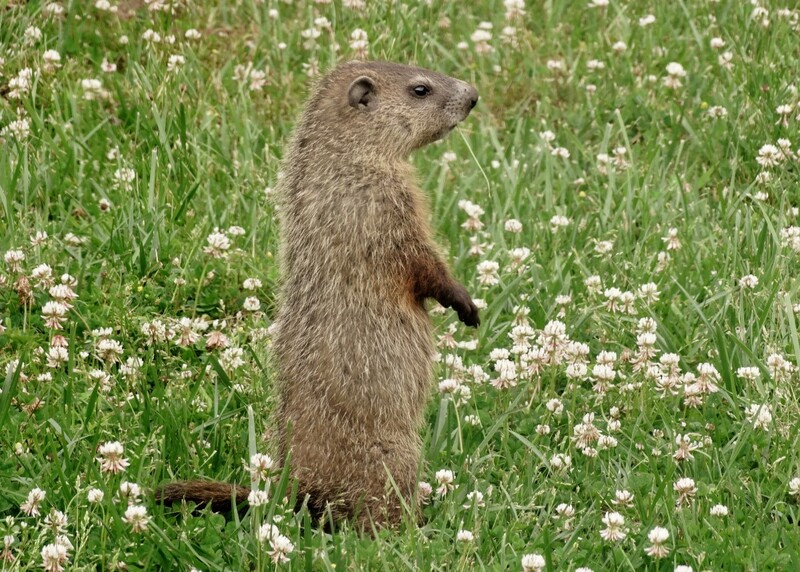 The groundhog has a compact, stout body, with short legs and a short, bristly tail. With curved claws and long forefeet, they are very proficient diggers. They are about 20 to 27 inches long and weight between 5 to 12 pounds. Here are some other interesting facts about this gnawing animal. This rodent belong to the family known as marmots which is in the family of large ground squirrels. It is also referred to as land-beavers, woodchuck or whistle-pig. They are versatile in their physical capabilities. They can climb trees and are strong swimmers. They eat vegetables like soybeans, beans, peas, lettuce, cabbage, zucchini, carrots and their tops and grasses. Needless to say, if you have a vegetable garden, the woodchuck as a major smorgasbord at it’s disposal. And you the gardener or farmer have a major problem.. If you are lucky, you may only have to utilize some preventive measures to control the animal. However, if you are not lucky and damage is severe, getting rid of the groundhog may be the only solution. 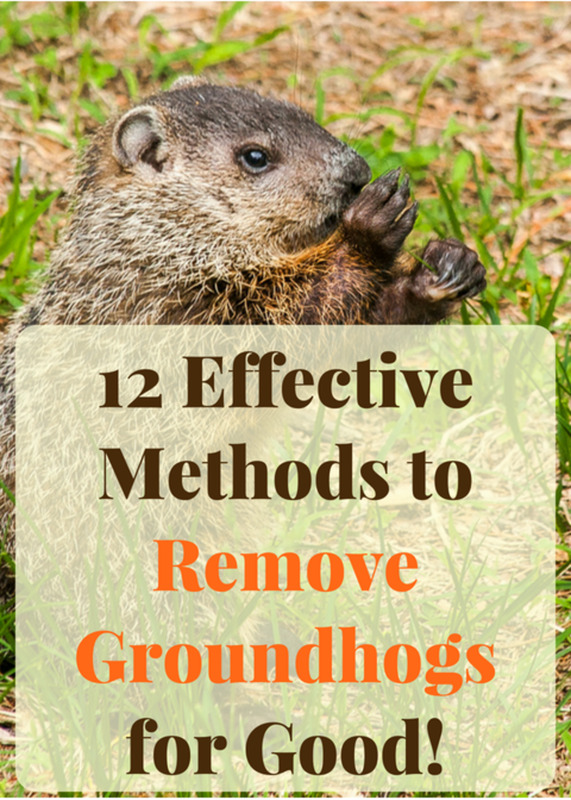 There are different options you can use to get rid of a groundhog. 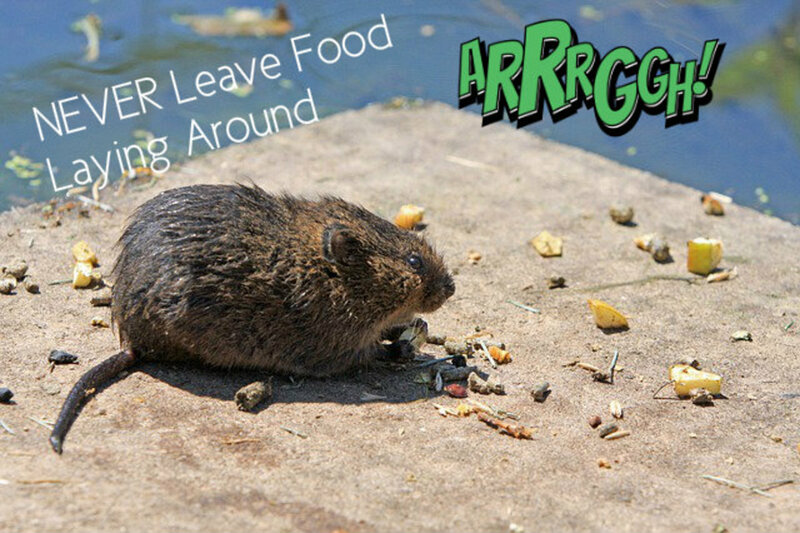 If you have a resident land-beaver the best time to get rid of it would be late February or early March when they are just awakening from hibernation. Why? This will allow you to get a clear view of their 6 to 10 inch burrow opening without the vegetation concealing the entrance. Once you found the opening, you can use some following options to get rid of this large rodent. Use live traps. Live traps should be 10 X 10 X 24 inches and placed in the burrow's entrance or at the site of damage. 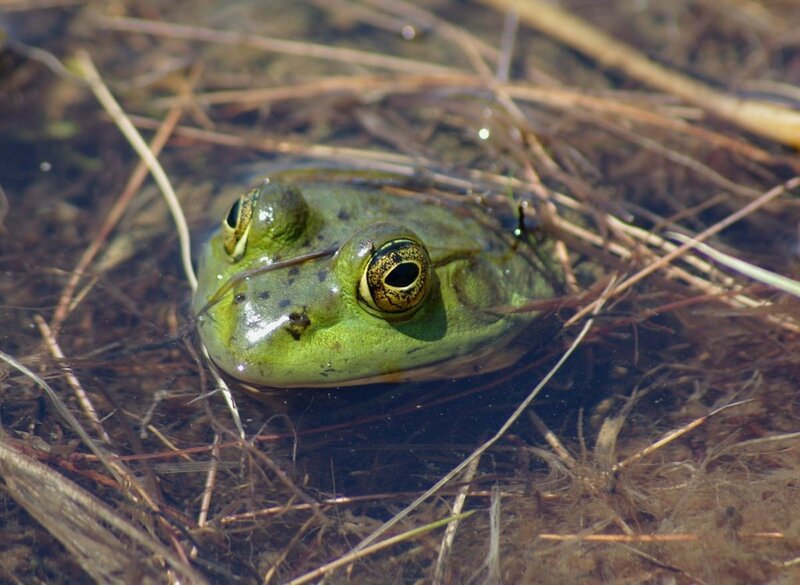 Place apples, cantaloupe, fresh peas, lettuce, cabbage and carrots with tops as bait to entice it enter the trap. (If the above food does not work, try sheep mineral granules and bananas, this is what worked for us). You may think this sounds simple, but from experience, it can be difficult if food is abundant. Once the animal is caught in the live trap, it is recommended that you transport it at least 10 miles away from its normal habitat. Use smoke bombs. If the animal is not living directly next to your home, you can use smoke "bombs" containing sulfur dioxide or carbon monoxide. Place the bomb into the burrow opening, and then cover the opening with dirt and rocks. The bomb will emit sulfur dioxide or carbon monoxide smoke for a few minutes, killing the woodchuck inside. Try predator odor repellents. At the base of trees, you can spray bobcat, fox or coyote urine. The repellents will deter the rodent from gnawing on the base of the tree. Use mesh fencing, with electric wire around your garden. If you use mesh fencing around your garden, you will need to bury the lower edge of the fence 12 inches in the ground with the lower 6 inches bent at an L-shaped angle leading outward. The fence should be at least 3 feet high. Above the fence, you can place an electric wire. When the electric wire is attached to the charge, it will prevent the groundhog from climbing or burrowing to get at your vegetables. 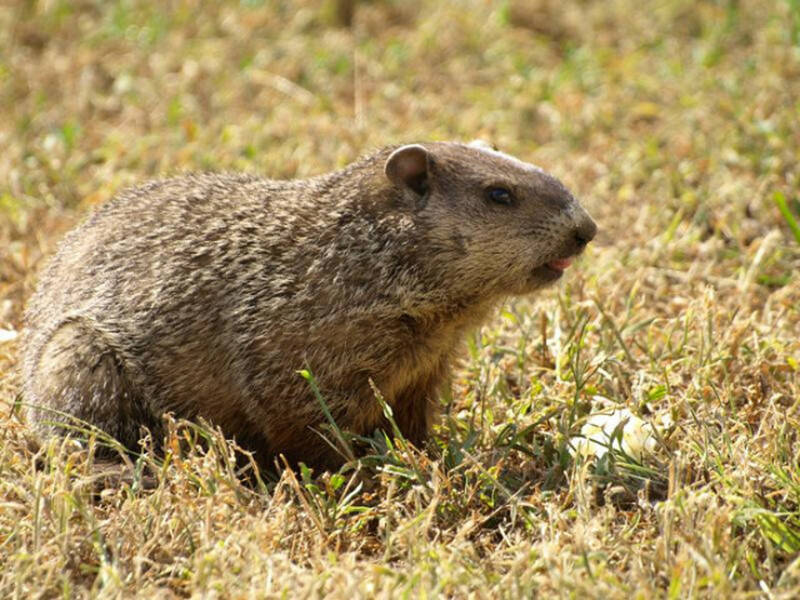 Not only does it keep a woodchuck out of your garden, but also it can keep rabbits, dogs, cats, and other animals out of the garden area. 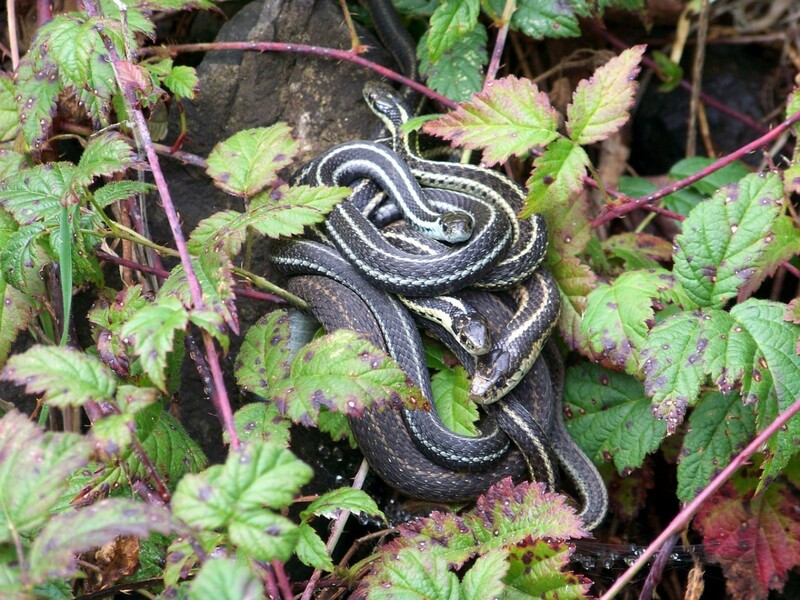 However, if you do install an electrical wire, be sure to clear any vegetation that may start forming on the fence. This can cause the electrical system to short out. Use strong smelling flowers, such as daffodils and marigolds around your garden. The strong smell from the flowers can disguise the scent of the vegetables. 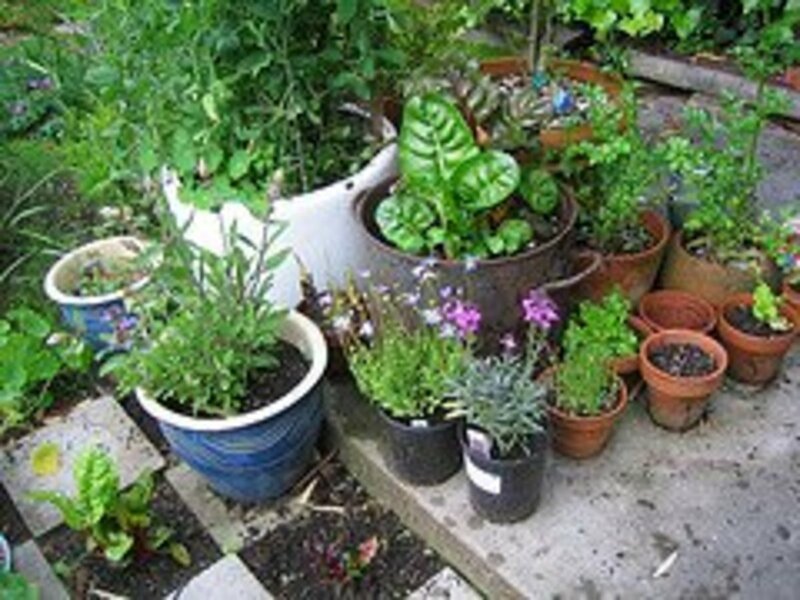 You can plant onions, garlic and turnips on the outer edges of your garden. Again, the strong smell will disguise the scent of the vegetables. Use a scarecrow, motion-activated water sprinkling device. Since the animal is usually shy, this motion-activated sprinkling device may scare him enough that he will not enter your garden. Edge your garden with low shrubbery, like barberry. The woodchuck finds the barberry roots to be distasteful and the thorny bush difficult to get over. 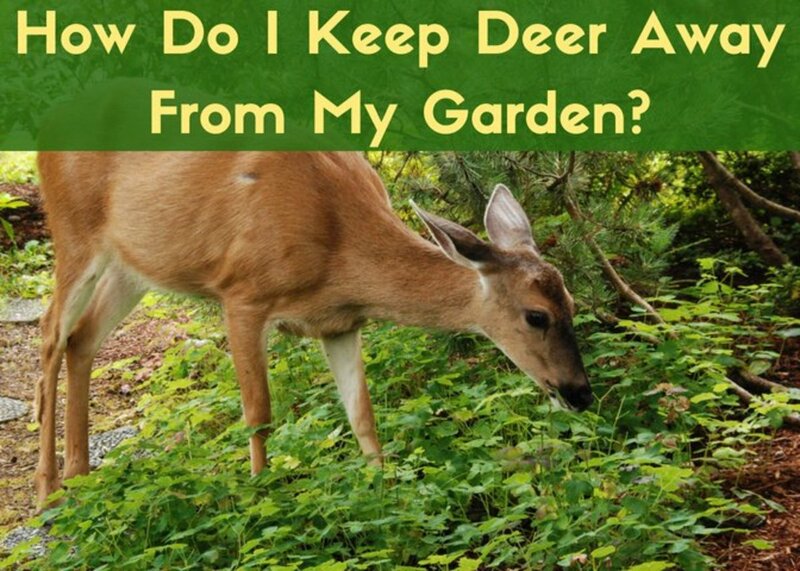 When we first encountered our own land-beaver problem, we were not sure what type of animal was eating from our garden and stripping the bases of our trees. However, the latter question was answered one morning when my husband stood face to face with a hissing groundhog outside our shed. 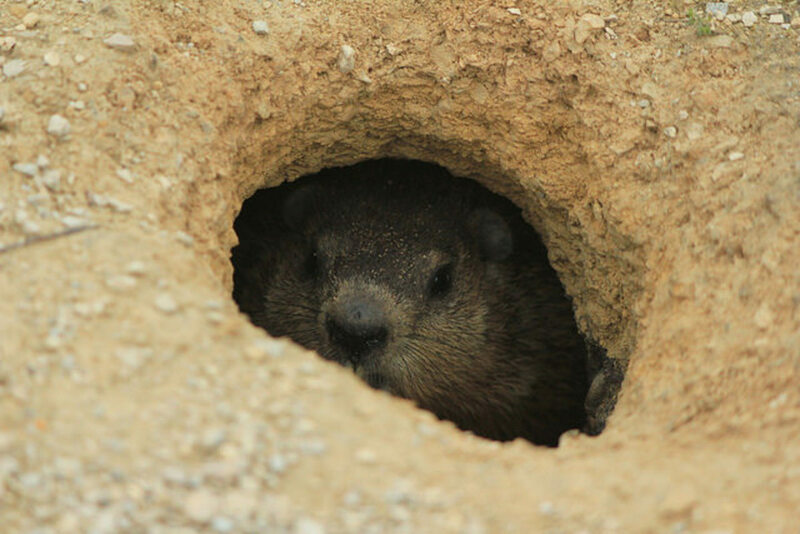 My husband, ill prepared to do battle with the groundhog, backed away and came back at a time when the groundhog was out searching for food. We found his burrow entrance nestled on the backside of the shed, shielded by tall grass and brush. Like I said, getting rid of this strong-willed rodent is not easy. In fact, it took several tries to get rid of it. With the first attempt, we tried to entice it enter the trap with apples and vegetables. It didn’t touch a thing. Then the ah-ha moment came, why would this beast gobble down the apples and vegetables in the trap when it had apple trees and a healthy vegetable garden to rummage through at it’s leisure? The second attempt, we set a trap using sheep mineral granules and bananas as bait. (I know it is a strange combination, but a friend of ours who happened to be a farmer, was having trouble with land-beavers on his own property, suggested the formula.) Well, it worked. We caught the very unpleasant animal and sent it packing 10 miles away. To conclude, to get rid of a groundhog problem, you have to be creative and open to trying different strategies. 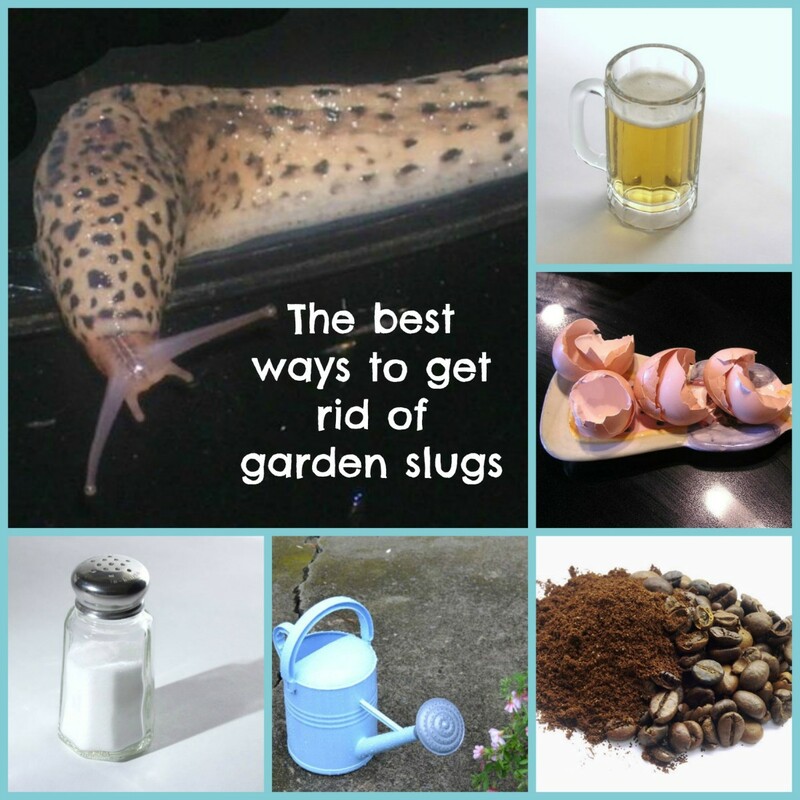 In fact, you may find that you will have to employ both strategies, getting rid of, as well as, using methods to control these destructive pests. Where do I find smoke bombs? Look at Amazon. They have some reasonably priced smoke bombs. You can either search groundhog smoke bombs, or you can look for "The Giant Destroyer," which they sell online.